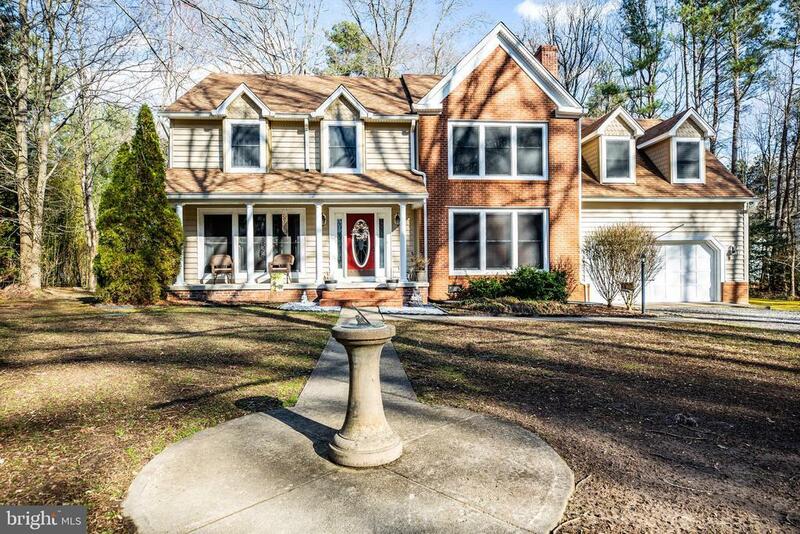 This spacious, beautiful, 5 bedroom home is looking for its new loving owners! Conveniently located near Dahlgren, this home sits on a flat 2 acre wooded private lot which features a mature bamboo privacy screen, a circular driveway with an oversized attached garage, 2 sheds and an RV carport. Brand new carpet has been installed throughout the upstairs. The master bedroom has a walk in closet, features a roomy master bath, and has an extra sitting room with plenty of space for all your furniture. Installed on the front door is a Turbo Lock so you will never be locked out again! In the family room there is a wood burning fire place that also has a gas log insert for your preference. A deck overlooks the trees in the back yard which is private for your morning coffee or BBQ~s with friends and family. There is plenty of room in the kitchen and dining room for a quick bite to eat or for entertaining. The laundry room can be set up either downstairs or upstairs for your convenience. All the rooms are spacious, have lots of closet and storage space and offers your family lots of room to live and grow in. You dont want to miss out on this fantastic house!